Opens all sizes of jars with a simple twist of the hand. 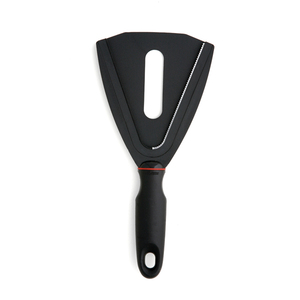 Lid opener fits sizes 1" to 4"/2.5cm to 10cm. The handle has a patented shape, ergonomically designed to fit perfectly for right or left hand use. Oversize handle and finger indents give a great hold without strain and keeps hands clear of the tool's functional surface. Dishwasher safe.